Create video presentations from your photos with iPixSoft Video Slideshow Maker and upload them to your personal page, blog, YouTube channel or wherever you want. 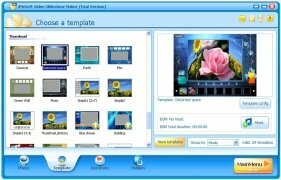 iPixSoft Video Slideshow Maker is capable of generating videos, presentations and photograph galleries without any need to know HTML or Flash. Use your personal image collection to create presentations in video, galleries, etc. Add up to a total of 500 slides. Carry out basic editing to improve the quality of the images, apply filters, etc. Many transition effects to apply between images. Add your favorite music to the videos as a soundtrack in WAV, MP3 or WMA format. Use more than 100 sounds to make your presentations more entertaining. Publish your creations wherever you want: a personal website or blog, social network profile, etc. Wide range of ready to use templates. 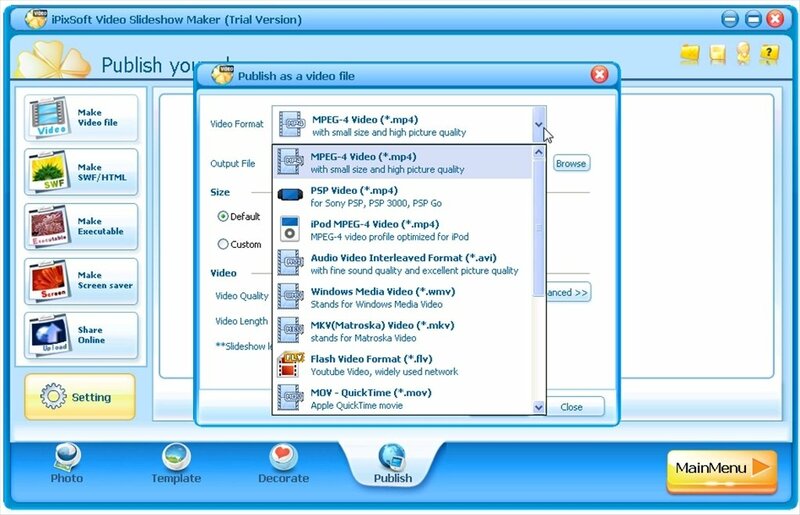 Export the presentations in MP4, MPG, AVI, MKV, FLV, HD Videos, SW, HTML or as an executable. 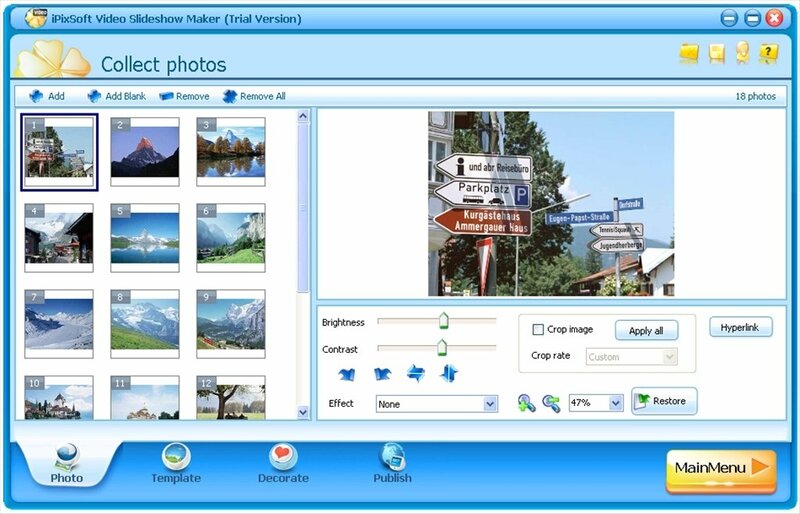 When it comes to creating the presentations iPixSoft Video Slideshow Maker is very intuitive. Carry out the process while you browse different tabs, that will provide you with access to the images on your computer, the design templates, the decorative elements or the final export functions. 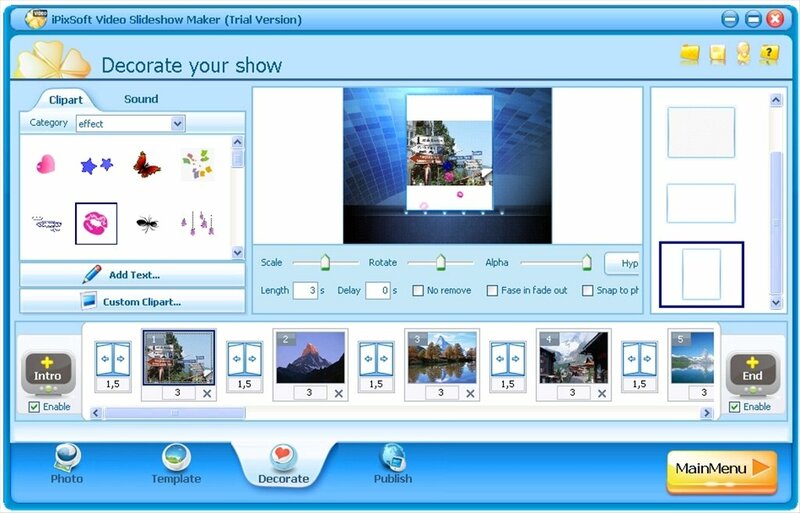 Create presentations in video with photographs. Download iPixSoft Video Slideshow Maker and try out the possibilities that it offers you to provide the most appealing format to your image collection.